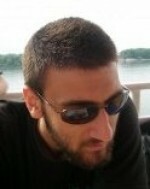 Svetlin Nakov is manager of the Technical Training department in Telerik Corporation. 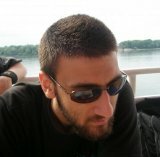 He runs the Telerik Academy project – the leading training center for .NET software engineers in Bulgaria. 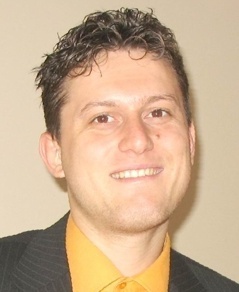 Svetlin Nakov has more than 10 years of experience in the IT and management field, specializing in C# (.NET platform), Java, Java EE, database systems (MSSQL/Oracle/Postgres), Web development, ASP.NET, JSP/Servlets, GWT, software engineering and project management. He is a speaker of hundreds of technical events and author of hundreds of articles and few books about data structures, algorithms, principles of computer programming, .NET, Java and PKI security. For more information visit his blog: http://www.nakov.com. Mihail Stoynov is the Head of Development in Materna Bulgaria. He has many years of experience as a developer and trainer. His specialties include Software architecture and design, High quality code, Web development (client-server, 3-tier, n-tier, ajax instrumentation), Object-oriented programming and modeling, Multithreading and synchronization/Asynchronous programming, Relational database manipulation and design, Distributed systems and multi-tier architectures, Secure programming, Algorithms design/analysis and data structures and more. He has experience with latest trends in technologies such as Spring framework and Java 7. For more information visit his blog: http://mihail.stoynov.com/blog/. 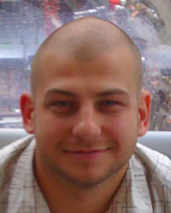 Mario Peshev is a freelance developer, trainer and consultant. He is Sun certified for the Java 5 platform, a Mensa member and a technical expert. Mario has been working on Java/PHP/Python based projects with relational database systems (Oracle, MySQL, Postgres), using plenty of new technologies and frameworks: Java, Java EE, JSP/Servlets, JSF, GWT, PHP, CakePHP, CodeIgniter, Django. He has also developed Android applications for mobile devices, firmware for set-top boxes and others. Mario Peshev is a co-author of “Introduction to programming with Java” book, training courses and being a speaker on conferences in Bulgaria and abroad. For more information visit his blog: http://www.peshev.net/blog/. Rosen Spasov is a senior software engineer at Software AG. He is an experienced Java developer and trainer. His specialties include Java EE5, web and database development, distributed systems and multi-tier architectures. He has experience with SQL, EJB, JPA (Hibernate), JMS, JMX, XML, Swing, JSP, JSF, Adobe Flex. His current job includes developing products based on SOA, SCA and ESB. At his previous position as a software developer for SAP AG he was responsible for the monitoring framework of the SAP NetWeaver Java AS. 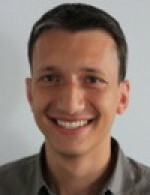 Danail Alexiev is software developer at Musala Soft Ltd. and Java trainer. He is a co-author of the “Introduction to programming with Java” book (www.introprogramming.info). Milena Dushanova is a senior Java Developer and a team leader at SEEBURGER AG with more than 10 years experience mainly in the Enterprise area of Java. Specialized in development of Service Oriented Architectures, based on J2EE and Web Services running on huge enterprise platforms. Her areas of knowledge and professional experience include Business Processing, transactioning and solving SOA architecture problems. She is one of the founders of a Business Process Engine based on BPEL standard. Ivan Vaklinov is a team leader at Seeburger Informatik (www.bg.seeburger.com), Bulgaria (provider of enterprise class business integration solutions). In addition to his more than a decade long experience with a wide range of Java technologies, he takes a keen interest in software design and architecture, organizational aspects of software development, and open-source software. His professional certifications include Java EE and Linux administration. 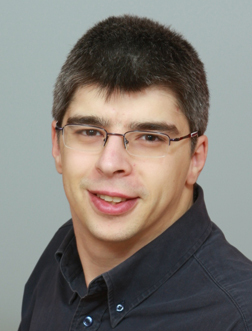 Radoslav Ivanov is experienced software engineer, consultant and training working closely with Java, .NET, Python and C/C++. He is an open minded expert with a great attitude and experience with large organizations such as the European Organization for Nuclear Research (CERN), Switzerland. Currently he is consulting different companies in Europe, training Java/.NET/Security related courses and developing new age software and web applications.